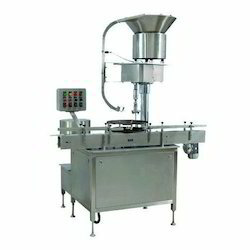 Our company is instrumental in offering supreme quality Automatic Capping Machines to our valuable customers. 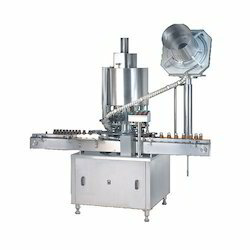 Offered product range is inclusive of Outer Capping Machines and Single Head Capping Machines. The offered machines are highly appreciated in the market for their robust design, impeccable finish and optimum performance. We are one of the eminent manufacturers and suppliers of an extensive range of Seal Capping Machines. Made available in various specifications, these optimum functionality machines are welcomed for their reliable performance, large production rate and consistent operation. Outer capping machines offered by us operate at a variable speed for screwing caps on the container necks. S S Automation and Packaging Machines is one of the eminent names that offers precisely engineered Single Head Capping Machines. Widely known for its operational fluency, consistent performance, ease of operation and minimal maintenance, the proposed range is extensively asked for. Our valued customers can avail these machines at industry leading rates.